Located on the Long Island Sound, the City of New Rochelle is bordered by Eastchester and Scarsdale to the north, Pelham to the south and Larchmont to the east. The city is graced with miles of magnificent waterfront, enhanced by lovely parks, picturesque marinas and an abundance of recreational opportunities. The shoreline measures 2.7 mile, but with many irregularities and off-shore islands, the actual length of the waterfront is 9.3 miles. The spectacular features of this splendid coast have, over the years, earned New Rochelle the name “The Queen City of the Sound”. Celebrated for its hometown personality, New Rochelle offers the small-town feel of a friendly, charming historic city – over 300 years old – with a vibrant mix of cultures and architecture. It is comprised of various neighborhoods, both large and small, each with its own diverse qualities. The tranquil residential areas are a stark contrast to the lively and energetic downtown, a vibrant urban center. The streets here are lined with architecturally significant buildings, small businesses, boutiques and specialty shops that coexist with modern office buildings, exciting entertainment facilities, luxury hi-rise residences and urban amenities. Attractive plantings, shade trees and inviting parks and plazas lend a welcoming ambiance to the area. Within a short distance of downtown is the magnificent shoreline, with one of the finest municipal marinas on Long Island Sound. Its spectacular views are visible from much of the downtown area. New Rochelle is a unique Westchester city that offers suburban living while meeting the demands of 21st century businesses and lifestyles. 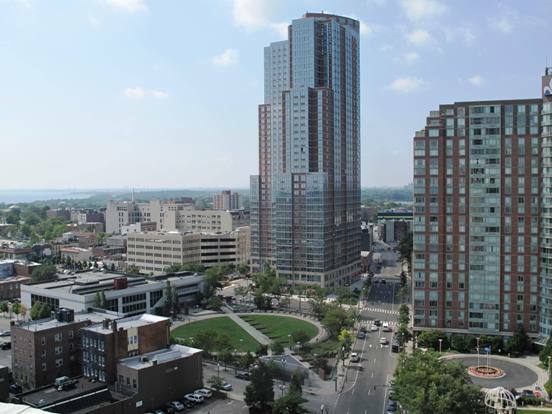 This appealing combination is enhanced by its convenient location, exciting mix of cultures and a fine educational system that has long made New Rochelle one of southern Westchester’s desirable residential communities.